Name(s) of your partner and other people in your group and who will be sharing with who? Would you like the option and costing to upgrade to a single room and Premium Economy/Business/First class on the flights? Do you have dietary requirements or medical conditions that we should be aware of? Thank you for booking your Premium Malaysia & WAGC Invitational Tour. We will be in touch very shortly with a copy of the itinerary. ANZ 06-0241-0289570-00 with your NZ golf number as reference and also PremWAGC19 as the code. Please send us a confirmation or screen shot of the payment once done. If paying via credit card, we will send you an online payment option (3% surcharge applies). Discover a memorable golf travel destination in Malaysia and play exciting rounds on unique and world class designed golf courses. "Malaysia, truly Asia" is Asia's best kept golf travel secret and invites you to discover a hidden land of golfing gems! 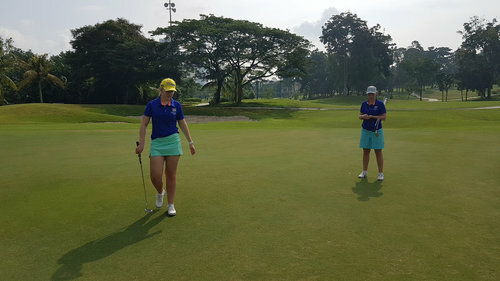 Come join us in October 2019 as part of our 14 day tour to Kuala Lumpur, The Els Club in Johor Bahru and the World Amateur Golfers Championship plus entry into the WAGC Invitational! Fill out the form above or below to book your Premium Malaysia golf tour today! Premium Golf NZ Golf Travel bag including personalised itinerary, tour shirt, cap, vouchers, Malaysia country & course guide, golf tees, balls, markers and a mystery "bonus" also included! Got a group of 8 or more, pay your deposit (8x $1000) and get 10% off balance to be paid by May 1st. **If you depart Malaysia on the 25th you miss the charity golf day and arrive back in New Zealand on Saturday 26th. If you play the charity golf day on the 25th, you will stay one more night, depart on the 26th and arrive in NZ on Sunday the 27th. Preferential Rates: Enquire today for a preferential group rate - group bookings of 8 or more will earn an overall 10% discount on the total person amount. Additional add on tours or golf travel segments to other East Asian golf countries such as Vietnam or Thailand can be added to this tour. What about my wife/husband or partner who doesn't play golf? This tour includes the WAGC World Finals and the WAGC Invitational tournament. Meet with us at a convenient time to go over the itinerary and we will provide a free coffee. 18 fantastic reasons to sign up to this tour today! Get a group of 8 together and get 10% off which equates to some fantastic savings! TPC Kuala Lumpur (TPC KL), the only TPC course outside of the United States, is a 36-hole tournament-standard course strategically located in the lush landscape of Bukit Kiara, just eight kilometres from the heart of Kuala Lumpur. Host of the CIMB classic, TPC KL exudes the highest in golf standards with superior service, excellent facilities and warm hospitality. The immaculate manicured greens and fairways are wall-to-wall Paspalum Seashore Grass variety, offering pristine playing conditions. Horizon Hills Golf & Country Club has emerged as the premier golf club in the southern half of Malaysia and is a force to be reckoned with. This accolade is even more remarkable considering that this US$10 million championship course opened for play a mere eight years ago in May 2008. 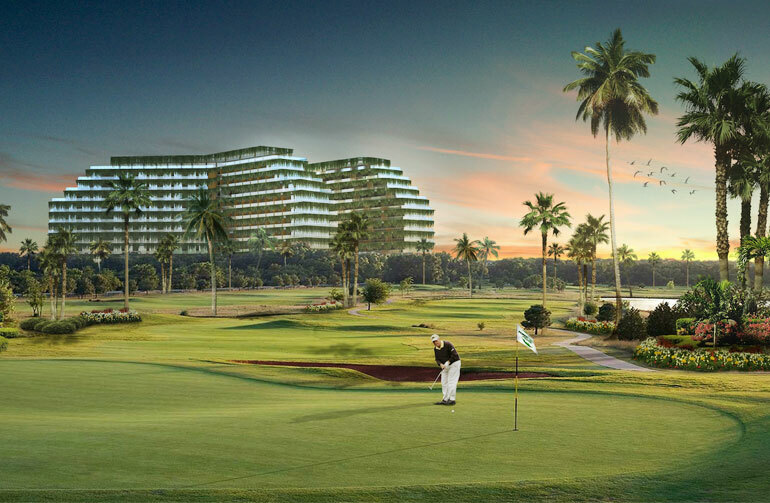 Located in the heart of Iskandar Puteri, within the Iskandar Development Region, Horizon Hills has won almost every award there is and by the look of things, there is no stopping the club from climbing its way to the ranks of Asia’s top golf courses. The Els Club Malaysia offers an unparalleled golf and lifestyle experience - all inspired by Ernie Els and his design prowess and 20-plus years experience as a champion golfer. Take the exhilarating natural setting of Malaysia, add the brilliant golfing mind of Ernie Els and the result is something special: a golf club that seeks to go beyond par, delivering excellence at every turn. Prepare to have your senses and skills challenged. Choose from a selection of courses, spanning a total of 63 holes of golf - courses that stretch and snake through ancient rainforest down to the turquoise Andaman Sea; or challenging coastal golf that meanders alongside a 17km beach facing the South China Sea. The World Amateur Golfers Invitational is a separate tournament that gives golfers the opportunity to share in the exciting “WAGC experience” of a world-wide tour-like championship event without first having to qualify. Business executives with VIP clients, national agents with sponsors, couples, golf groups, celebrities, royalty and other enthusiastic golfers from all corners of the globe are regular participants of the World Amateur Golfers Invitational (WAGI), a tournament that’s played parallel to WAGC, on the same courses, same format and rules except that it is a 2-persons team event (not 5) and has 6 handicap flights.